This one took a lot longer than the first book and until the last 100 pages, I had a hard time getting into it as much as the first as well. 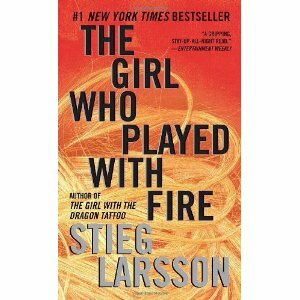 The book seemed so different from The Girl With the Dragon Tattoo and you can almost read them as separate books versus a trilogy. In the second book, taking place months after the first book ended, a series of murders link Lisbeth and Mikael together again and under the worst circumstances. Lisbeth becomes a target, a murder suspect, and all the while searching for a truth from her past that no one has been able to uncover until now. It was definitely worth it once I got to the end and was left hanging wondering what will happen in the final book of the series.